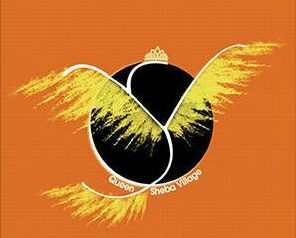 Queen Sheba Village focuses on the well being of women and children in rural Senegal, West Africa. Our education, health, and business-building programs help impoverished women become financially independent. We seek to create conditions where small villages are modernized, economically stable and better connected to the Greater Senegal. Queen Sheba Village 2012,onward: Health/hygiene Event Kaolack, Senegal – QSV Volunteers contributed totaling 1,400 Hygienic/health kits to women and children and distributed 2000 educational pamphlets. Currently, the World Bank reports that the under-5 mortality rate for children in the United States is 7 per 1,000 live births. In Senegal, this is almost eight times higher, with 55 children dying before they reach the age of five. While medical treatment is present in urban areas of Senegal, the demand continues to be unmet in these areas. Additionally, rural areas still fail to see adequate medical services provided to its citizens. As a result, women and children are to deadly illnesses such as malaria, respiratory infections, AIDS, turberculosis, typhoid, yellow fever, and schistosomiasis. We believe further education and treatment is needed to ensure that women maintain a healthy lifestyle and prepare their children for a happy and productive upbringing. State education and treatment programs have sought to broaden vaccination and immunization processes, but help is still needed to ensure that Senegal’s future leaders do not die from preventable illnesses. Seeking to educate and treat Senegalese populations, Queen Sheba Village(QSV) plans to implement its Health & Hygiene Program. Within this program, women will be exposed to information regarding how to prevent the spread of illnesses, how to maintain a healthy lifestyle, and how to meet the health needs of children. With this information, women will become empowered to live happy and healthy lifestyles. Even more importantly, the benefits from this program will grow exponentially as these women pass down health and wellness practice to their children. More specifically, the Health & Hygiene program run for three months and now includes approximately 20 women from nearby villages. These are women whose health needs have not been adequately met by the state or any other party. Trained women are staffed by QSV in order to teach participants about wellness through various methods such as field trips to hospitals, educational texts, videos, and group conversations. When will we know if we are successful? QSV has administered a test after there months to all program participants. Additionally, after the end of each program, QSV used a tracking system to access the health and needs of families that have participated in the program. This information also tracked child mortality rates and whether child mortality rates have been reduced in the communities in which it works. When women invest in what matters most is that our children are our most treasured assets we take the time to seek information to better their lives. Thanks to our workshops we teach preventative measures against common diseases that kill children in Africa and in the USA we don’t blink a eye about. Approximately 1,400 people have taken good advantage of this program. Additionally QSV has provided information included in the assessment needs(model) and locations to meet the target high-need communities with this program so that Senegal’s children can grow into healthy and productive citizens.